200 marketing agency executives and senior level marketers across the United States and Canada completed the 2017 RSW/US New Year Outlook survey during December, 2016. 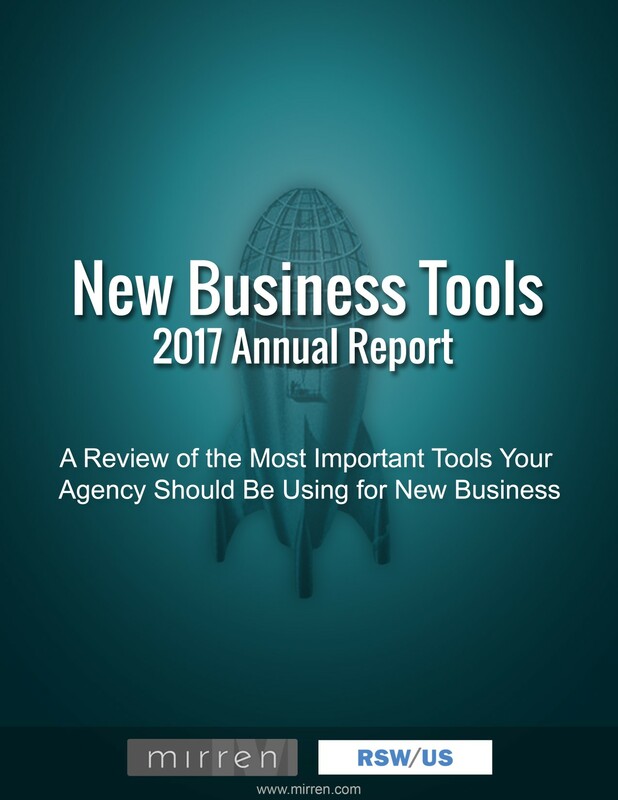 The Mirren-RSW/US 2016 Agency New Business Tools Annual Report is a must-read resource for anyone involved in Agency New Business. 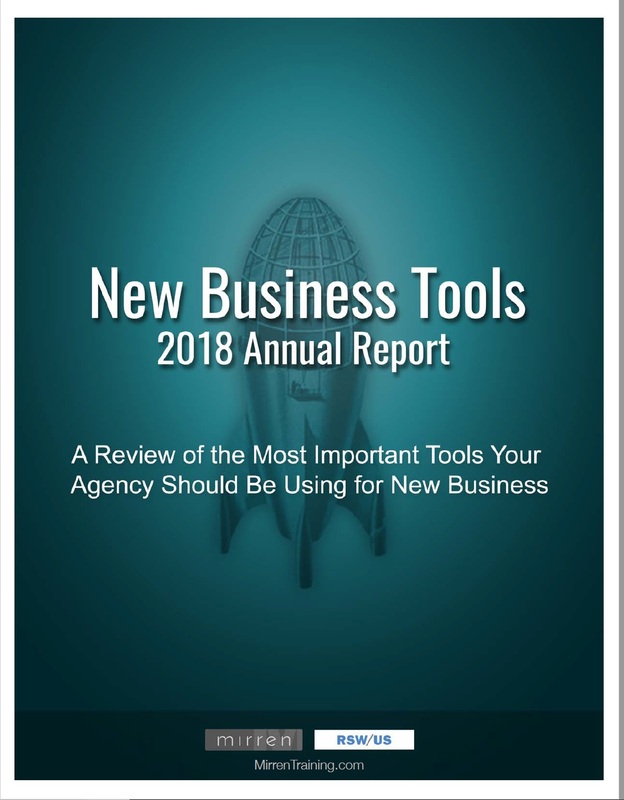 Now in its fourth year, The Annual Report summarizes information gleaned from more than 200 agency executives on the effectiveness of a wide variety of new business tools they use to support and grow their business.